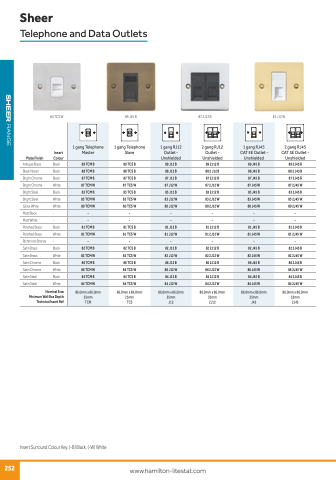 Sheer CFX® are simple and elegant, flat-plate switches and sockets. The range features Hamilton’s patented CFX® 4 point face plate clipping system allowing concealed fixing for a clean and contemporary finish that looks stylish in any environment. Sheer CFX® also benefits from an integral gasket that forms part of the mounting frame, this is ideal for use on walls that are not perfectly flat.